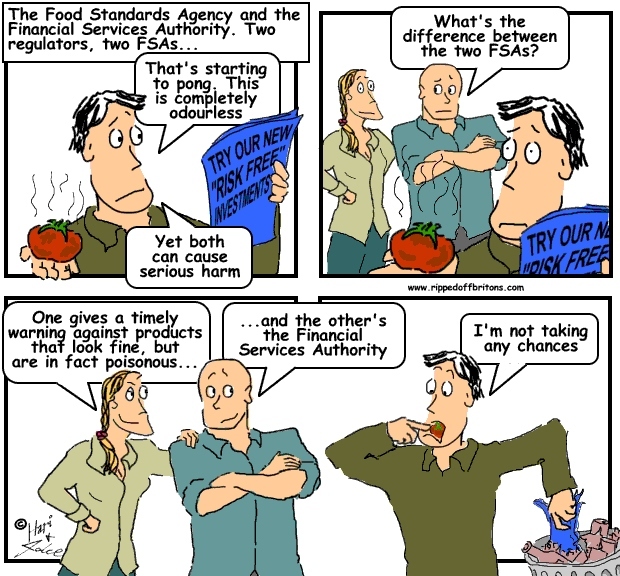 What's the difference between the Food Standards Agency and the Financial Services Authority? The Financial Services Authority has always let banks get away with murder. Will its replacement, the Financial Conduct Authority, do any better?.. How best to honour the City?